Despite rumors to the contrary, the Windows Phone 7.8 update will not arrive on Lumia phones until early 2013. 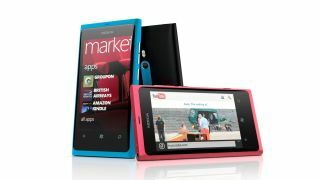 Some Nokia Lumia 800 users claimed on Monday to have received the update earlier than expected, but unfortunately that was not the start of a wide release for the Windows Phone update. Nokia spokespeople were quick to clarify what actually went down, explaining the situation to Dutch-language site Tweakers. Apparently Monday's early WP7.8 release was exactly that - an early test release to bring certain users' pre-production handsets up to speed before the full update launch. Monday's early release could give Nokia time to optimize the update before it rolls out to all Lumia 800 and Lumia 900 users. That release will occur early next year, according to the latest statements from Nokia's spokespeople. Windows Phone 7.8 is a consolation prize of sorts for Lumia 800 and Lumia 900 users, as the slightly older devices won't be upgraded to Windows Phone 8 like the Lumia 820 and Lumia 920. Fortunately for Nokia users with the older-gen Lumias, Windows Phone 7.8 includes many of WP8's features, such as customizable Live Tile sizes and the option to make Google the search engine in Internet Explorer. They will just have to exercise patience a little longer.